You’ve taken the time to build your shiny new website or paid someone to do it for you. Now you can get finally get your business in front of all of those people searching for you online. You thought (or maybe you were told), that all you had to do was build it and new customers would come flooding in. 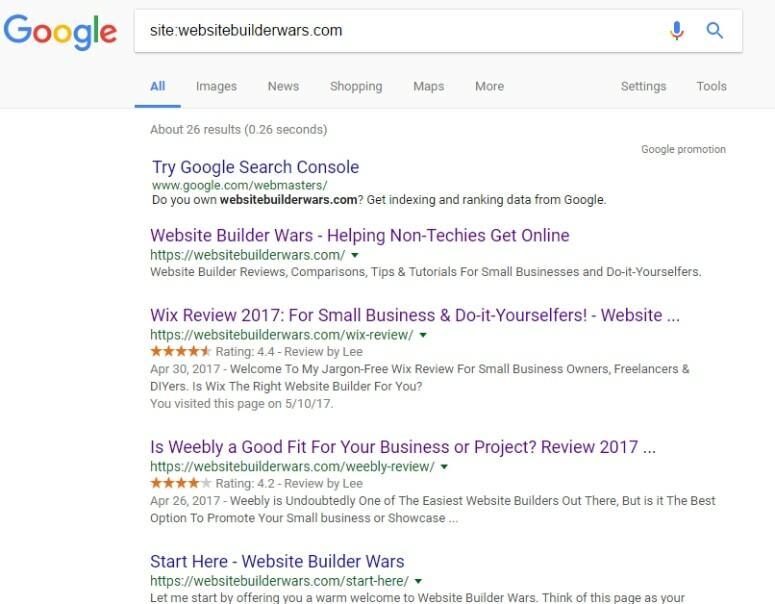 Hey, why isn’t my site showing up in Google? There’s a number of reasons as to why and we’re about to take a look at 7 of the most common ones together. Then I’ll leave you to figure out how to fix it on your own, okay? Just kidding, I wouldn’t do that to you. For each of the potential reasons that your site might not be showing up, I’ll also give you a solution that’ll allow you to solve the issue yourself. It can take a couple of weeks and sometimes even longer before Google runs into your new site out there on the big ol’ internet. Just think of all the new websites that are created each and every day. It takes time for Google to find and add these new sites to the search results. This process is known as “indexing”. Once I hit the search button, my site immediately pops up in the results which this tells me that my site has indeed been indexed and Google is fully aware of its existence. If your site doesn’t show up then it’s because Google simply hasn’t found it yet. Please, whatever you do, don’t be tricked into paying a company to submit it for you. I find it hard to believe, but there are still companies out there offering this a service. If anyone approaches you offering this, run for the hills! Option 1: Create a free Google Search Console account and submit your site (or use an existing Google account). Option 2: Add your website address (URL) to your social media accounts such as Facebook and Twitter. These sites are crawled regularly by Google and this might help them to find your site a little sooner than they would have otherwise. Option 3: Do nothing, Google will find your website in due course. If your site has been indexed but it’s not listed very high in the search results, then it could be because Google can’t find their way around and is struggling to understand exactly what your site’s about. If they don’t know what your site’s about, they won’t know where to place you in the search results. Once you’ve built your site, I’d highly recommend creating a Sitemap. This is a map which contains a list of your pages and posts allowing the search engines to get a grasp of the theme of the site. If you use WordPress user, you can create a sitemap in just a couple of clicks if you have either the All-in-one SEO or Yoast plugin installed. Think of these plugins as an add-on that’s sole purpose is to help the search engines better understand your website. Both plugins have an option that once activated, will automatically create a sitemap for you. This site’s built on WordPress and I use the All-in-one SEO plugin. All I have to do is head over to the settings and activate the feature as you can see in the image below. If you’ve used another do-it-yourself website builder like Weebly, your sitemap will automatically be created upon publishing your site. The URL for your sitemap will look something like yourwebsite.com/sitemap.xml regardless of which platform you’ve used. This can then be submitted to your Google Search Console account which we covered back in step 1. I know it’s a little late to tell you this now, but if your website runs on Flash, then this is going to hurt your rankings as the search engines aren’t able to read the text on these types of sites. Think of websites with lots of animations and slideshows, this is usually the work of Flash. 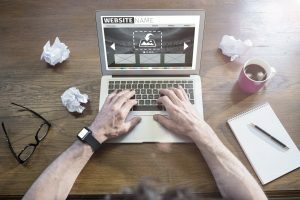 The popular website builder Wix used to use Flash and there were a ton of complaints from users claiming that their websites couldn’t be found in the search engines. Fortunately, Wix addressed this issue and now offer an alternative called HTML5 and now assure people that their websites are “search engine friendly”. If you’re unsure, go to the company website where you built your site and find out. If you can’t, just ask support. If you hired a web designer, get in touch with them and ask the question. It’s up to you how you decide to proceed from there should you find out it does use Flash. But if it was me and I relied on my website being able to be found in the search engines, I’d change it. There are companies out there who can convert the site for you, but there will be a cost involved. If your website’s fairly new, it may be just as easy to dump it and start over but it depends on how much time, money, and energy you’ve already invested. I’m afraid it’s a choice you’ll have to make for yourself. 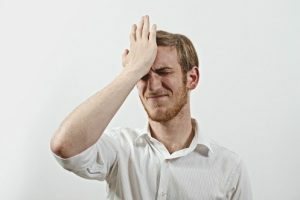 There’s so much crap (excuse my language) out there on the internet today teaching you the latest methods to trick Google into ranking your site higher. Some of the most common methods involve paying for backlinks, keyword stuffing, and PBN’s. These methods may very well give you a very short-lived boost, but I can assure you, Google will catch up with you and they don’t look very favorably on people who attempt to manipulate them. When they do catch up with you and they will, you’ll lose your rankings and they may even to decide to blacklist your website from their results forever. If you’ve heard of these methods and you know what they are, then avoid them at all costs. If you don’t have a clue what I’m talking about then great, let’s move on. When you first launch your website, don’t expect to receive much love or trust from the “Big G”. It’s nothing personal, it’s just that they don’t know your website and they don’t know you. They have no idea of your intentions and if you’re still going to be around in a month, let alone a year from now. With that in mind, it makes sense that you’ll have a tough time of getting ranked above some of the bigger, more trusted websites in your niche area of business. These sites have probably been around for some time, they’ve earned their stripes and people trust them. It’s for these reasons, you’ll have a tough time of getting your website positioned above them in the early days. If you do business is in a competitive industry, it could be that your site is buried amongst these sites where no one can find you, hence why you’re not showing up. Learn the basic principles of keyword research. You see, when people search for things online, they use “keywords”. These are known as keywords or keyword phrases. This post is targeting the first phrase as you probably guessed from the title of the page. If there were loads of other sites targeting that exact phrase, I’d have a tough time ranking for it. If there were only a few, it would be much easier. The idea is to write articles targeting keyword phrases with low competition. Don’t overlook this step, these keywords will become a huge part of getting found online going forward. This goes hand in hand with the previous issue. Google loves content and in my opinion, it’s the very best way to show your visitors and the search engines that you know what you’re talking about. The problem is when your site’s brand new, the chances are you’re not going to have much content and so Google won’t see you as an authority in your field yet and you’ll have a hard time showing up for search terms (keywords) relating to your business. Fatten up your website by writing regular, helpful blog posts and articles based on things that your audience may be searching for such as how-to’s, product information, product reviews, or maybe even a rant about something related to your industry. The more content you have on your site, the more often your website will show up in the search results. We all know that the Google search engine is a machine and not a human. 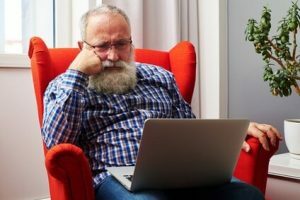 The problem arises when people try to write content for their website in a robotic way in the hopes that Google will understand what they are talking about. Something like overusing keywords is a prime example. Newsflash: Google hates this and may even consider it as trying to game the system, even if your not. Truth is, Google wants the exact opposite. They want original, fun, helpful, well-written content that real people will find helpful and enjoy reading. Think about it for a second, if you perform a search looking for help with something and the results don’t appeal to you or don’t provide the answer to your question, you probably wouldn’t use Google again and would head off to one of their competitors such as Bing. This is the last thing they want. Without users like us, Google wouldn’t have a business, so it makes perfect sense that they want to present the best results to its users. Be patient and submit your site to Google Search Console. Create a sitemap to help Google find their way around. Learn how to find low competition keywords for your website. Whatever you do, don’t attempt to game the system. Write helpful content on a regular basis. Write content for your readers, not Google. Please remember that Google can be a tough beast to tame and achieving good rankings isn’t going to happen overnight. If you implement the things covered here, and as your site gains maturity, you’ll start noticing your site popping up for all kinds of search terms and your problem of not showing up will become a distant memory. I’d love to hear how you get on, so be sure to come back and let me know. You can do that, along with asking any questions you may have in the comments section below.